RUMJHATAR, Feb 11: A new showroom of Mahindra vehicles is opened by Agni Group. 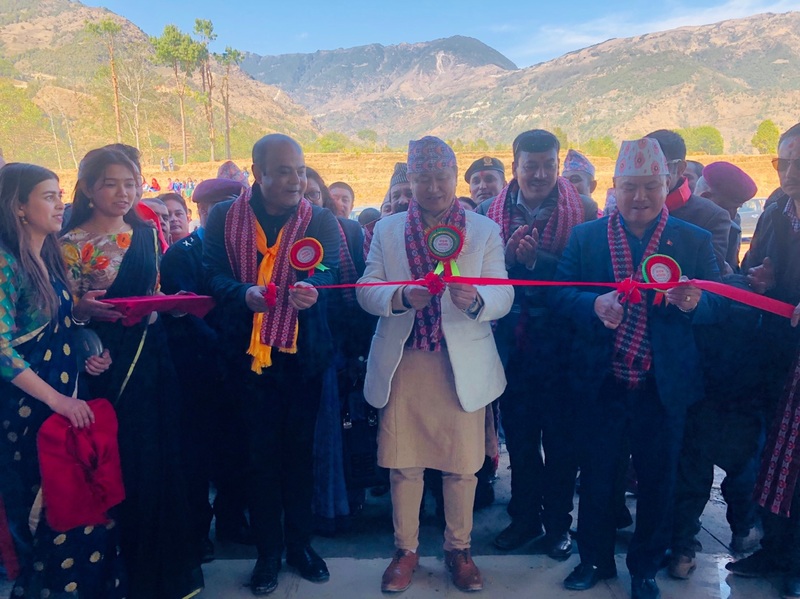 Agni Group, the sole authorized distributor of Mahindra vehicles for Nepal, recently opened a new showroom of Mahindra vehicles at Rumjatar, Okhaldhunga on 10th February, 2019. The showroom was jointly inaugurated by Honorable Chief Minister of Province 1 Sherdhan Rai, Honorable Provincial Assembly member Mr. AmbirBabuGurung together with Cabinet Shrestha, Managing director of Agni Group. 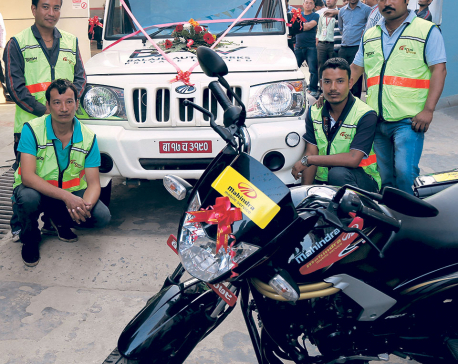 According to Rajan Ghale, the managing director of Rumjatar Automobiles, the showroom will be providing genuine spare parts as well as sales and service to its customers. The objective of establishing this new showroom is to provide customers of the Okhaldhunga and its surrounding areas added benefits by making it more convenient and economical for them to get access to the company and all its quality service. 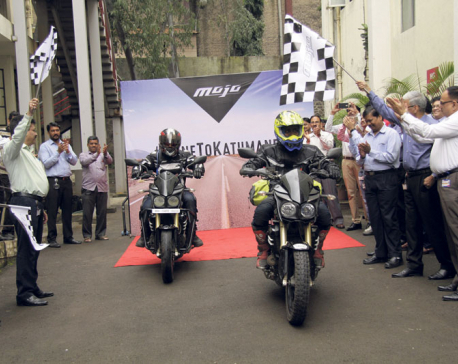 The establishment of the new Mahindra showroom in this region is expected to further strengthen the trust between the customers and the company in the coming days.